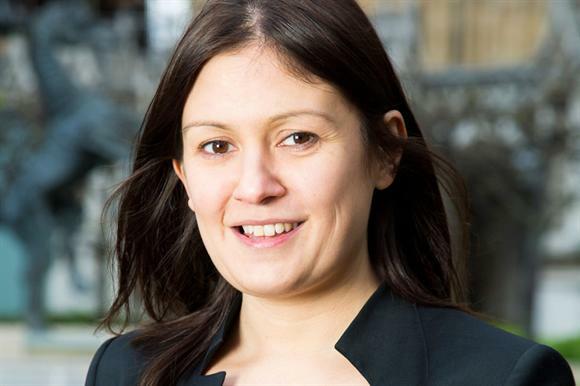 The relationship between the charity sector and government is the most "strained and fractious" it has been for a decade, according to Lisa Nandy, the shadow minister for civil society. Speaking yesterday at the Civil Society Rally, a fringe event hosted by the charity chief executives body Acevo at the Labour Party conference in Manchester, Nandy said the coalition's big society concept had pitted the state against communities and that funding cuts had been catastrophic for charities. "What we've seen in the last few years is the most strained and fractious relationship between the sector and government that I can remember," she said. Nandy reiterated the Labour Party's pledge to repeal the lobbying act, a source of friction between the sector and the government, if it won the general election next year, and to replace it with something that did not "gag the people who speak out on behalf of some of the most marginalised in this country". She said a Labour government would rewrite service delivery contracts to remove gagging clauses, so that charities would feel encouraged to speak out about problems with service delivery and public services could be improved. She repeated two other Labour pledges: to introduce regional ministers that would report directly to the Cabinet Office "because the experiences of charities in Newcastle is very different to the experience of charities in Norwich"; and to reform local enterprise partnerships so that charities would have more of a say in the decision-making that took place in their local areas. She said a Labour government would work with funders to make sure money was available for grants, and said extended childcare and an end to zero-hours contracts would benefit the sector. The event was also used to launch The Red Book of the Voluntary Sector, a series of essays by Labour parliamentarians and supporters, compiled by Acevo and the Charities Aid Foundation. Speaking after Nandy, Gareth Thomas, the Labour MP for Harrow West and Nandy’s predecessor as shadow charities minister, spoke about the importance of social innovation zones. Referring to what he called the "Big Society Network debacle", he said reform was needed of the way in which the Big Lottery Fund solicited bids for larger grants and that the BLF and the government should work together to fund social innovation zones. Thomas recommended a service delivery model in which local council leaders would bid on behalf of local charity sector organisations that wanted to offer innovative services. Where they were successful in winning bids, council leaders should commit to reforming the way in which contracts were offered in future, he said. Chi Onwurah, the shadow minister for social enterprise, repeated her commitment – first made in July – that a Labour government would ring-fence certain public service delivery contracts specifically to social enterprises.